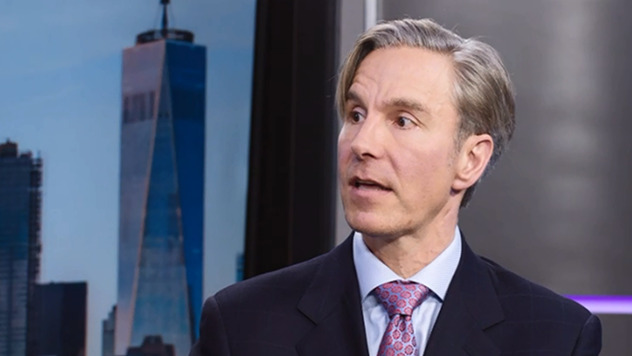 PM David Nadel joined host Sue Lee and two other investment professionals on Asset TV's Masterclass: Global Investing, which aired Jan. 28, 2019, to discuss where he is finding opportunities in the global market and how trade wars may impact international small-cap stocks. David noted that in the current market, and in many of the markets over the last couple of years, he has been finding opportunities in developed areas, such as Switzerland and Australia. He argued that Switzerland is among the highest quality small-cap markets in the world, which is a good fit for the quality-centric Royce International Premier Fund. David went on to explain his philosophy for Royce International Premier Fund, stating that he has a long-term outlook in hopes of gaining strong results over time. “We really look for businesses that care more about their customers than care about shareholders, ironically, because if your customer is satisfied, you're going to do great as a shareholder,” David said. David Nadel joined Royce in 2006 and he is the portfolio manager for International Premier. Previously, he was a Senior Portfolio Manager at Neuberger Berman Inc. and a Senior Analyst at Pequot Capital Management Inc. (2001-2003). He was also named to the 1999 and 2000 Institutional Investor All-American Research Teams. Mr. Nadel started his career at the French advisory firm Lazard Frerès & Co. and also worked in Hong Kong for Value Partners Group Ltd, Asia's largest hedge fund manager. David holds a bachelor's degree from Williams College and a master's degree from Harvard University, as well as a Master of Business Administration from Harvard Business School. There can be no assurance that companies that currently pay a dividend will continue to do so in the future. Frank Russell Company (“Russell”) is the source and owner of the trademarks, service marks and copyrights related to the Russell Indexes. Russell® is a trademark of Frank Russell Company. Neither Russell nor its licensors accept any liability for any errors or omissions in the Russell Indexes and/or Russell ratings or underlying data and no party may rely on any Russell Indexes and/or Russell ratings and/or underlying data contained in this communication. No further distribution of Russell Data is permitted without Russell’s express written consent. Russell does not promote, sponsor or endorse the content of this communication.Source: MSCI. MSCI makes no express or implied warranties or representations and shall have no liability whatsoever with respect to any MSCI data contained herein. The MSCI data may not be further redistributed or used as a basis for other indexes or any securities or financial products. This report is not approved, endorsed, reviewed or produced by MSCI. None of the MSCI data is intended to constitute investment advice or a recommendation to make (or refrain from making) any kind of investment decision and may not be relied on as such. The MSCI ACWI ex USA Small Cap Index is an unmanaged, capitalization-weighted index of global small-cap stocks, excluding the United States. Index returns include net reinvested dividends and/or interest income. The Russell Global ex-U.S. Small Cap Index is an unmanaged, capitalization-weighted index of global small-cap stocks, excluding the United States. Index returns include net reinvested dividends and/or interest income. The performance of an index does not represent exactly any particular investment, as you cannot invest directly in an index.